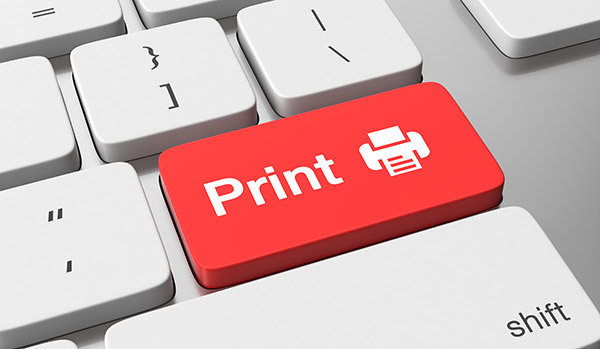 Bromsgrove based printers Handy Print specialise in high quality printing for domestic and commercial customers. Handy Print is located on Worcester Road in Bromsgrove and offers a range of print services, from design and setting of flyers, leaflets and posters to business card printing and stationery. Whether you have a small or large print job we can help. Our knowledgeable print team will talk you through all the options available and quote you our best competitive price! A6, A5, A4, A3, A2, A1, A0 size! Whatever you’re printing requirements we can help. We have an in-house design and setting team who can create anything you need. From order of services for Funerals and Weddings, party and event invitations, flyers and posters – we can help. Give us a call and speak to our designer about your design requirements. If you need a document, presentation or publication printed from a digital file then simply pop in with your memory card, USB stick or disk and we’ll get it printed for you. If you don’t have the artwork on computer we can always scan the images and create a digital file for you. You can also email the file to sales@handyprint.co.uk. File formats – we can read most popular formats, including – PDF, EPS, JPEG, AI, PNG, TIFF. We can also read Photoshop, Illustrator, Quark, MS Word and MS Publisher Files. If you’re supplying your own Artwork we also recommend that the Images are saved at 300 dpi. This ensures we’re able to recreate your artwork accurately. Also remember to leave at least 3mm bleed around the edge of your images. This helps when we come to cut your finished printed work. If this all sounds like noise, just call us up or pop in and we’ll talk you through the whole process – in English!